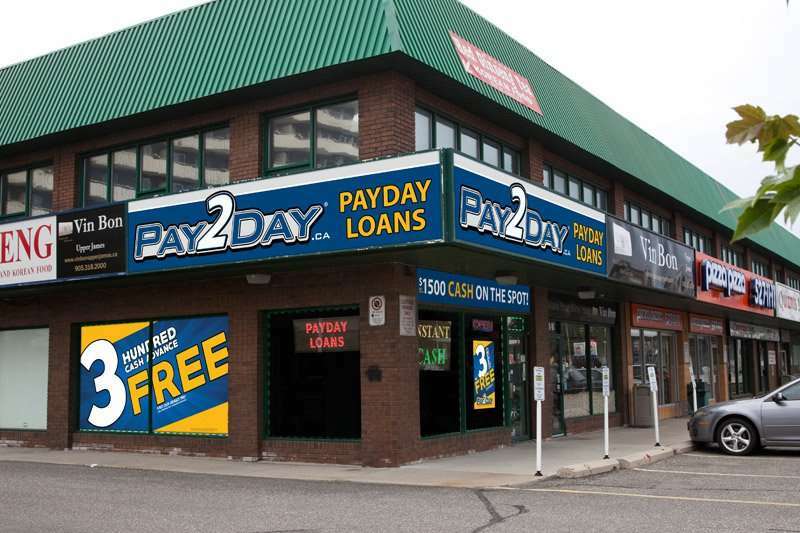 Payday loans Hamilton | PAY2DAY | $300 Cash Advance FREE! Every time I come into this location to pay off or take out a new loan, I am greeted by the friendliest of staff. Today I was greeted and helped out by Sean, who was very kind and patient as I figured out what I had to take out. Sean's customer service skills are exceptional - he really knows how to speak to people to ensure that they leave the building happy and accomplished. It's a breath of fresh air walking into a place where the staff are friendly, helpful, and most importantly knowledgeable. Jess and Sabrina, are the two best employees here at pay2day I always get amazing customer service and they're very friendly. I would recommend this location to anyone interested in borrowing money from a cash place. Hands down best place to go to. Super friendly and helpful! Jessica, Shaun, and Andy made the experience quick and easy. Great promotions and amazing deals. The staff are very understanding! If I ever need these services again this would be my first choice! Amazing customer service and friendly staff. I have been a customer for over a year and this location is very convenient for me. Jess always respond with a friendly smile and is always ready to answer any questions you may have. Great fast service and atmosphere. Andre was helpful knowledgeable and courteous. Her great smile made me feel welcome. The staff here is extremely professional, curtious and trustworthy. I have been involved in the financial sector for 10+ years and I ensure everyone that the staff here is second to none This is especially true for one senior staff member, Jessica who has been uncanny throughout this entire experience She is exceptionally friendly and will help anyone she can while keeping anonymity and your credentials confidential. Big thanks to Jess who has been so helpful on several occasions. Professional staff, clean environment. Never disappointed. I'd like to say the staff at this place are wonderful and not judgemental. They got me out of a hard moment in my life and I'm grateful for it! I talked to Jess. She's so kind and makes sure I feel welcome and heard. The other staff are great too and wish I remembered their names!They also ensure you're getting the right information .Don't be afraid to ask any questions! Very friendly employees , very helpful. process is very straight and quickly. plus you receive candy on your first visit yay!! thanks Adelina/Jessica. Love the store! Jess is just amazing always smiling and giddy. Love seeing Vlora and Sabrina are great as well. Great store and will help out in every way they can. Sabrina and Jess are amazing ladies! They are always happy and informative and helpful ! I would suggest going here before anywhere else. The process is effortless and quick. Love coming in to this store especially when Jess is working she is so friendly and personable. She always makes my visit a pleasure. Don't lose this lady! She's great with clients. These types of establishments are never easy to go to. The location on upper James made everything incredibly easy and were also more than friendly through the whole process. They are willing to work with you in every aspect. 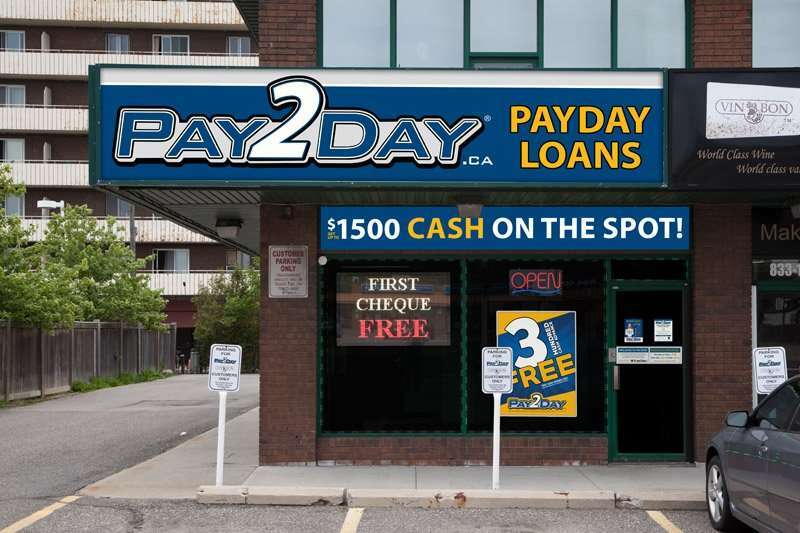 I would highly highly recommend going here for all your payday loan needs! Service at pay2day was great. The ladies were so helpful. Pat especially was amazing so helpful and made me feel so comfortable in my time of need and help. Thank you Pat for everything!! i love pay2day they have excellent customer service skills always patient and kind. Pat and Jess are always a great help always friendly and cheerful. always smiling and ready to help the best they can. I will always come back to this location. I’ve needed to go to pay2day and my experience was great ! The girls that work there are lovely every time me and my girls go in there they talk to them and always have candies and make them welcomed while they wait. Pat and Jess are the ones that usually help me ! Good convo and helpfulness 10 stars if I could ladies. Another women I think her name was Laura was super !! They go above and beyond just to work with you. Sometimes I can’t even get there for a couple days and these ladies work with you as long as you talk to them. I will always always always use this place and no others whenever I’m in a jam. Thanks guys for making this a great business because without yous it wouldn’t be the same !!! The staff have always been very warm and welcoming. They are very helpful and professional. Would highly recommend this company. We found Sabrina very friendly and helpful. We will come back again. Also found Sabrina respectful. We will recommend our family and friends to come here. Pat and the team at Store 17 always treat you with courtesy and respect. The process is always made extremely easy and they work with you wherever they can. I would highly recommend Pay2Day for all of your loan and cheque cashing needs. Keep up the great work! The level of customer service at this location is not like any other lender, it is stellar. Great promotions as well! Pat the manager at pay2day was very friendly and helped me out with great service to meet my needs! I would refer her to anyone she knows her job and how to look after her clients. Just came in to cash in some gold, very nice experienced cashier took good care of me! Think Pay 2 Day is excellent.Always Kind, Friendly Employees. Very Satisfied. I am a first time customer and your Manager, Pat was exceptional. Best service in Hamilton that I have personally experienced. Clean store and friendly, helpful customer service. Friendly, helpful and professional staff. Definitely recommend.